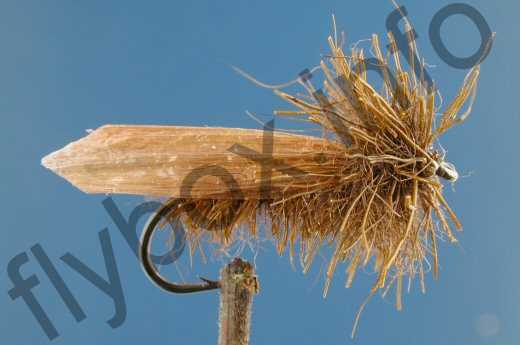 The Moser Caddis is great on broken waters where its flotation properties work really well. Body : Brown deer hair. Shoulder Hackle & Head : Brown deer hair. Currently there are no comments about the Moser Caddis fly pattern from other fly fishermen yet.